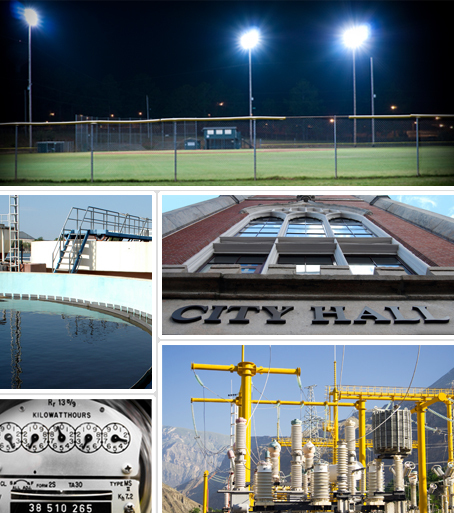 GridSmart’s core service is energy procurement advisory services. This means we assist our customers to evaluate their existing supply agreements, if any, and then develop and execute customized electricity and natural gas procurement strategies. This includes compiling the relevant data, analyzing and modeling the data against various procurement strategies, drafting solicitation documents, negotiating with responding suppliers, and advising the customer on a contract execution date. We believe market timing and transparency are the two of the extreme importance in determining great energy procurement and bad energy procurement. GridSmart can assist your firm with the purchase of renewable energy credits or certificates to off-set your firm’s carbon footprint. We can also assist your firm with the implementation of on-site distributed solar, wind, and other renewable and alternative energy systems. We help local and county government agencies save time and money on energy services by establishing buying groups. We understand your power needs and the impact those costs have on your bottom line. That’s why our services also include monitoring your energy contracts and providing regular reports, analysis and recommendations. GridSmart Energy brings significant expertise and experience from many demand and supply side energy issues. In fact, GridSmart favors an integrated approach to demand and supply side activities to cope with their increasingly interrelated nature. As metering equipment becomes more advanced, local distribution companies (LDCs) can more accurately allocate costs, rewarding those with heavy usage in the off-peak periods and vice-versa, or more consistent usage versus arbitrary consumption. Whether you have an energy efficiency or capital improvement project for 1 facility or 100, a small- scale solar photovoltaic system or multiple 2 MW wind turbines, demand response projects, or utility data management systems, GridSmart is prepared to provide turnkey project design, management, and maintenance services.